This rich, creamy banana pudding is like none you've ever tasted! 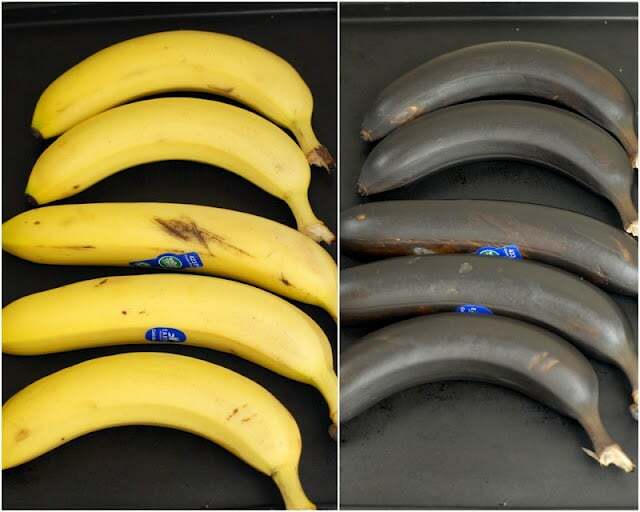 Place bananas on an ungreased cookie sheet. Do not peel or piece the peel. Place in the middle of the oven for about 12 minutes until the peel has turned black. NOTE: the banana may begin to seep from the peel. 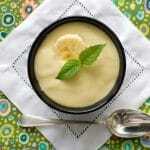 Allow to cool enough to peel and proceed with the banana milk recipe below. Place all ingredients into a heavy bottomed pot over medium heat and bring to a simmer. Simmer 10 minutes. Using a potato masher or the back of a wooden spoon mash the bananas. Cool overnight or until fully chilled. Strain mixture, pushing the bananas with a wooden spoon or firm spatula to release all the milk. Set aside for the pudding recipe. In a heavy bottomed sauce pan heat banana milk, sugar and salt. Bring just to the start of a boil, stirring frequently, scraping the bottom of the pan. In a blender, blend the eggs, yolks and cornstarch/arrowroot starch to combine. Pour into a large heat proof bowl. Slowly drizzle the heated milk mixture into the egg/starch mixture, whisking all the time. *NOTE: pouring too fast will scramble the eggs. Pour back into the saucepan on low-medium. Whisk constantly until mixture is very thick (aproximately 5-10 minutes over medium heat). Remove from heat. Add the melted butter and banana liqueur, whisking until smooth. Add pudding in batches to the blender. Blend until smooth. 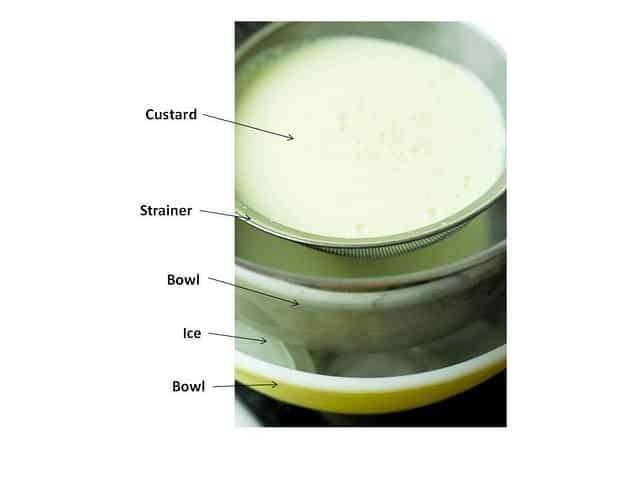 Pour into a fine mesh strainer over a bowl set in an ice bath (see diagram) and push pudding through the strainer with a pliable spatula. Fully cool. *Tip: use a soup ladle to slowly drizzle the hot liquid into the egg mixture while whisking with the other hand so the eggs do not cook.